Bailey’s Discount Center's 11 team members play a vital role in the success of our company! 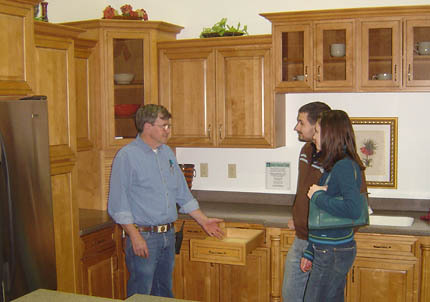 Matt Bailey has selected the best team of cabinet professionals in the industry, creating one of the largest and most respected cabinet companies in the Midwest. Bailey’s Discount Center takes pride in the services we offer. All services are performed by the Bailey team—never by subcontractors—including measuring your projects, computer design, delivery, and even installation!